Indian model and actress, Anushka Sharma poses for Vogue India in 2012. Forget the nice Anushka of RNBDJ! These signed photos Bharat Sikka we unveil a whole new Anushka. 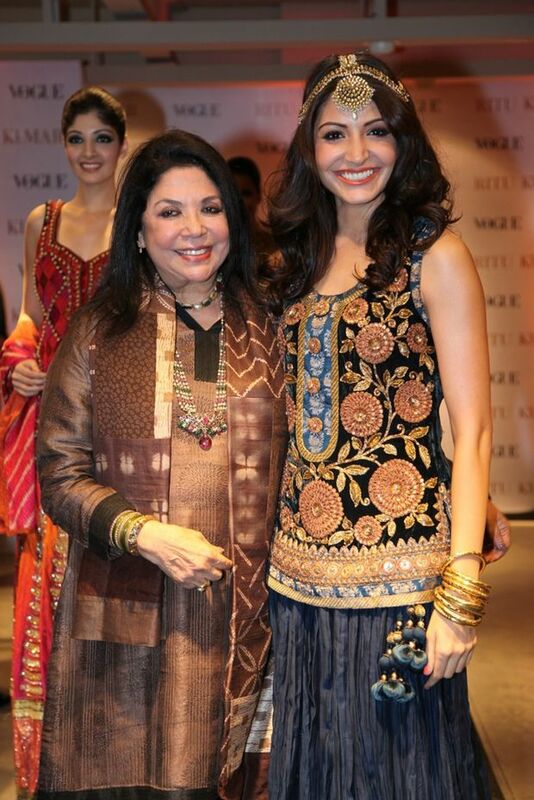 Ritu Kumar dresses the bubbly Anushka Sharma. Indian designer Ritu Kumar has dressed the Bollywood actress Anushka Sharmaand again I am delighted by the creations of Ms. Kumar. This assembly carried by Anushka is part of the collection 'Pachvastra'. Indian actress paraded on the occasion of opening a new store at Raghuvanshi Mills Ritu Kumar (Mumbai). And for those who do not know Ritu Kumar, I will try to post more regularly on the posts!! In the meantime know that what you see in these photos is a tiny preview of the talent of the artist. 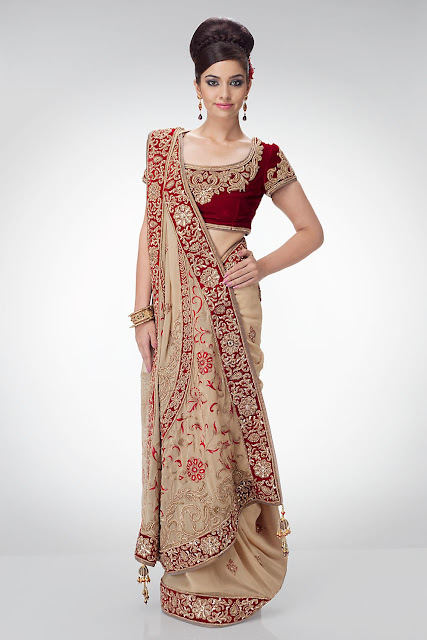 This signed Sabyasachi saree makes me dream! Generally I think the velvet is a difficult to wear but this man is an artist and once again he managed to charm me. And we must believe that I am not the only one since Anushka Sharma (who is obviously richer than me) has pleasure in wearing this sari sublime at Apsara Awards 2012.